Today we celebrate six years on the road. 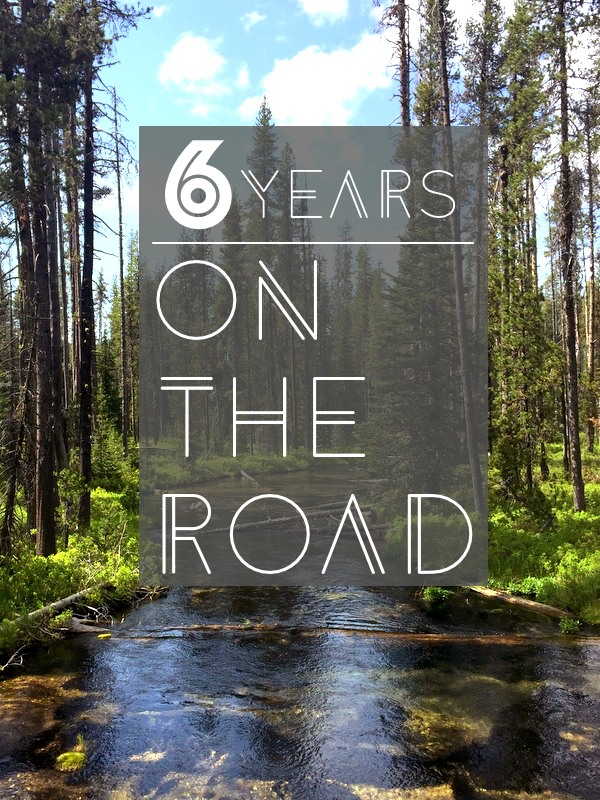 Six years of seeking out adventure and discovering new places. Six years of overcoming fears and obstacles, pushing ourselves to go the extra mile, and making the most of what life has to offer. Who knows where the next six years will take us, but if it’s anything like the last six, we have a lot to look forward to. Cheers to all the adventures yet to come! Congratulations! 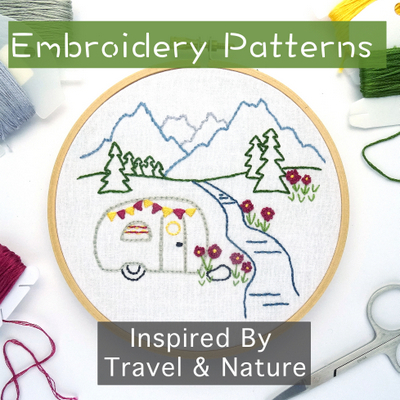 The peripatetic lifestyle is not for everyone, but like you, we find the acceleration of life’s wonders revealed on the road, to be pure serendipity and richness. Ruth works remotely, and I am retired, and write. Except for “armchair” road planning, we live a Zen lifestyle: living fully in the moment. May your wanderings be full of wonder, Watsons! Not for everyone, and not without its own set of challenges, but like you and Ruth, we find it to be most rewarding! So glad you’re both enjoying your lives so much! We often wish our paths crossed more often, but cherish the times they do. Your blog posts continue to be an inspiration to us for future travel plans. Tim and Amanda, Congratulations on six years on the road. Next month we start our third year of full-time travel and always enjoy reading your blog posts. Hope we meet on the road someday. Congratulations on your milestone of 3 years! We also hope to meet on the road someday. Time sure seems to fly by even faster in this amazing lifestyle. Our world used to be broken into 8 hours each day, 7 days in a week and if we were lucky the plans within in a month. It seems now it flows in seasons, and with only four every year the ferris wheel seems to never stop. How lucky you both are and the two of us too. We wish you all the best and may the road continue to rise up to meet you…. and hopefully cross our path one day soon. Time does fly by! While we still live by some time constraints due to Tim’s job that requires him to stay on an 8-hour M-F schedule, the amount of freedom we have has increased infinitely. We are certainly lucky to have the opportunity to live this wonderful life! I first discovered your blog about six years ago while researching places to camp in Colorado. Your travels have informed mine since. The wandering life can be challenging but the rewards are totally worth it-thanks for all the guidance. Hope you have many more happy travels. Happy trails to you as well! So happy to have you along for the journey. Over the years I have gleaned much useful information from other blogs, and I’m always thrilled to hear that my stories can do the same for others. How do you get the economy to live like that? Do you have some sort of passive income beside the blog?